Awesome LOCATION plus END UNIT Town Home!! Double tiered deck and private backyard with natural stream. Neutral carpet and newer paint. Recently replaced hot water heater and dishwasher! Recessed lighting, crown molding, fireplace in large family room and built ins to name a few great details. Big kitchen that opens up into the family room. Also, equipped with washer, dryer, newer refrigerator and microwave. Tough to find anything at this price in this location! 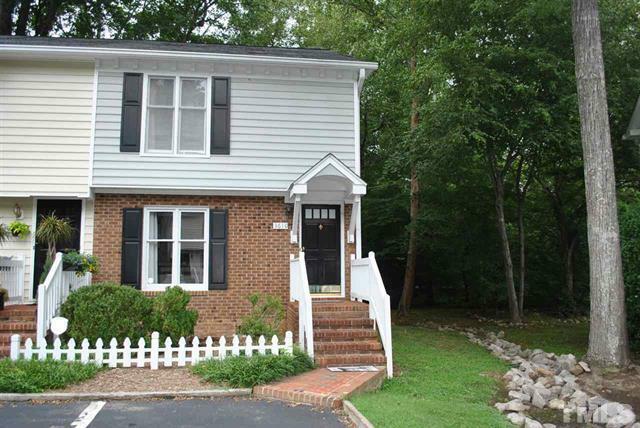 More pictures and information can be found on the MLS sheet for 3610 Plumbridge Court Raleigh, NC 27613 – MLS #2147003. A video tour can be found on YouTube. Directions to 3610 Plumbridge Court can be found on Google Maps. Contact our team for more information or to schedule a personal tour of this townhome!